Whilst it is well-known that getting a good education is key to getting a good career and higher earnings, what is much less understood is that good essential skills are equally important. The term ‘essential skills’ does not do justice to something that encompasses attitude, aspirations, self-management and people skills that often are the difference between success and failure, so we call them ‘essential skills’. Children from more advantaged families benefit from higher social and emotional skills and these skills have been shown to influence recruitment to the top professions. Developing the essential skills of young people from poorer backgrounds is the very essence of what we at Making The Leap do, and have done for over 24 years. They are our proud contribution to increasing social mobility. Five reasons to tackle the essential skills gap. 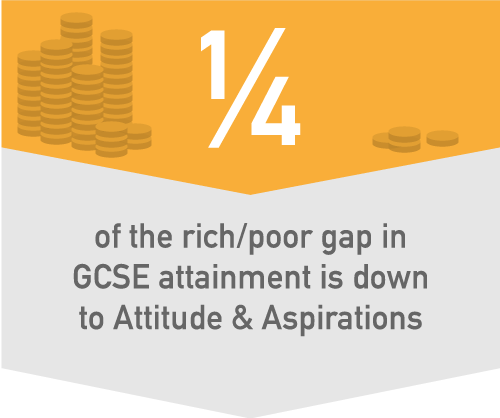 GCSE attainment.This means that changing the mindset of young people would substantially increase their chances of academic success. 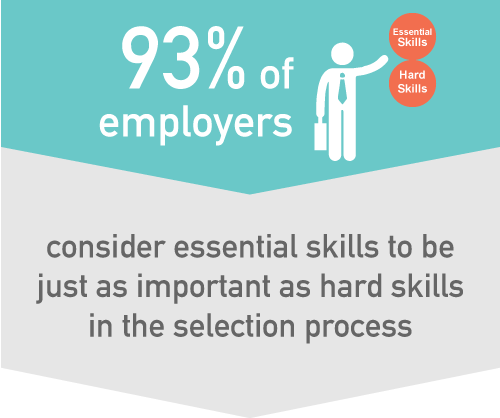 93 per cent of employers consider essential skills to be just as important if not more important than hard skills when evaluating job candidates. This means that young people who do not possess essential skills find it difficult to get on the career ladder. Essential skills matter more than cognitive ability for general mental well-being (such as greater life satisfaction, mental health and well-being. This means that providing young people with the skills to succeed in their career will also give them skills to cope with personal challenges. 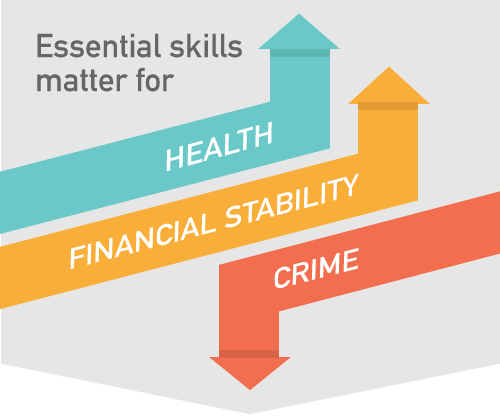 Essential skills are associated with positive outcomes for young people, such as financial stability in adulthood and reduced involvement in criminality.This means if we tackle the essential skills gap, society as a whole will benefit. A lack of essential skills can cause major problems for businesses, resulting in diminished productivity, competitiveness and profitability. This means that if we tackle the essential skills gap, the UK economy will benefit.